Using Augmented Reality, this piece sheds a light on the inner thoughts of those suffering with anxiety. This interactive installation focuses on each learner of the VARK model (Visual, Audio, Reading, Kinesthetic), and allows users to learn about plants and animals via 3D holograms projected into the Looking Glass. Users are able to place 3D printed artifacts on an RFID reader that was created using two Arduinos, and spawn each model that corresponds to each unique artifact. Once the model has appeared, the user can visualize the model in a 3D space, listen to the environment that model is situated in, read about the model via a description window, and trigger an narrative audio file of that description. City of Ghosts is an interactive, 360-degree mobile augmented reality film experience that allows users ̶equipped with a smart phone, tablet or AR glasses, to interact freely in real space with life-size 3D virtual characters ̶all within an elaborate scenario and even across several locations. City of Ghosts invites visitors to make a journey through time to relive a story of love, death, ghosts and technology ̶all in glorious augmented 3D animation mixed with real places. In City of Ghosts, you find yourself at the beginning of the 20th century in the middle of a criminal investigation. Your spectroscope (tablet) will help you solve the mystery and the circumstances around the death of La Stilla, one of the most famous sopranos of the Belle Époque. The spectroscope is a ‘magical device’ that will give you special powers and help you be an active participant in City of Ghosts. When sufficiently “magnetized”, your spectroscope allows you to see haunted places ghosts and the aura of objects, to resuscitate the past, interact within scenes, unlock hidden auras and see things that nobody else can see. During the experience, participants of all ages are invited to discover your city and explore different real venues such as theaters, museums, historical and cultural locations and other places of interest. 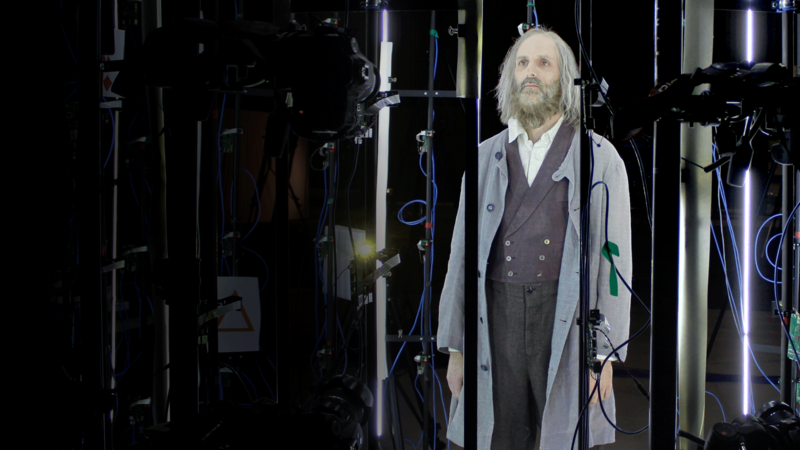 Your interactive adventure within City of Ghosts introduces you to a cast of haunted characters including Oberlin Pfleumer, a mad scientist and inventor of a revolutionary and mysterious machine that allows you to capture and relive past events. You’ll also meet William Anderson, La Stilla’s fiancé, and Baron Henry Gordon, the wealthy businessman so desperately in love with La Stilla, vicar Nazaire Bruchési, Jeanne Lambert, the mad woman, and Mme. Blavatska, the clairvoyant.